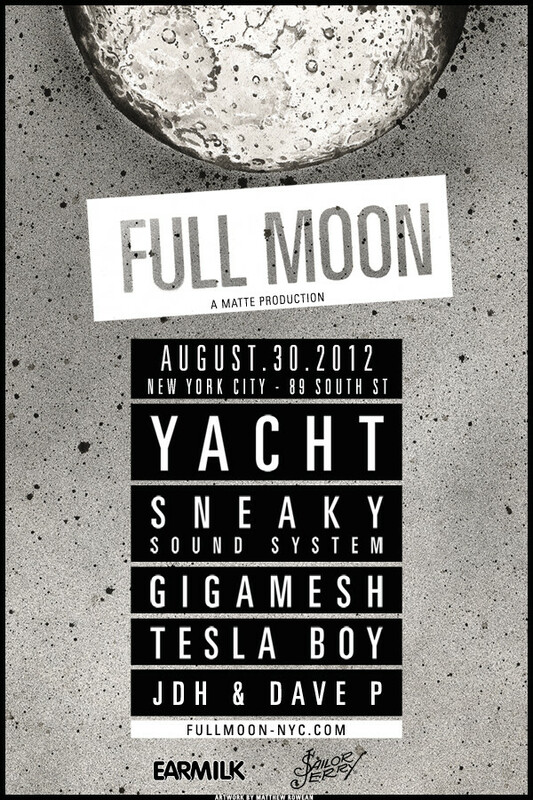 Tesla Boy, Gigamesh,YACHT ,Sneaky Soundsytem, YACHT, Gigamesh, Tesla Boy and the cycle just keeps going. Those aforementioned names are presented on Air Zaïre's Full Moon Mix, all of which are exactly placed in that order. If you didn't receive our notice from last week, Full Moon is a disco electronic party brought to you by Matte Productions at Beekman Beer Garden Beach Club on August, 30th with music from YACHT, Gigamesh, Sneaky Soundsystem, Tesla Boy and JDH & Dave P. Attached here is the official Full Moon Mix for you to dance your way till next thursday, when the party becomes real and hopefully, we'll all be laying gracefully like the girl pictured above by the end of the night. Also,watch a teaser of Full Moon below because who doesn't like a pretty face dancing in high waisted denim shorts.